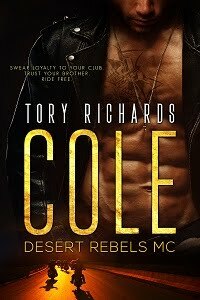 TORY RICHARDS: The Promise rates a 4.25 Star Review! The Promise rates a 4.25 Star Review! From Night Owl Reviews! Go there to read all of what the reviewer had to say. Ms. Richards has become a favorite author of mine and the amount of story she’s capable of putting into so few pages is remarkable. Add her talent for combining romance and eroticism deliciously in a story and all I want is more. Contemporary romance fans need to read this story! Words of warning to the reader: this story will make you long for a tradition-filled family gathering for the holidays and wish it came soon. I love the 4.25. That's very precise. It's wonderful to see such great reviews. I know Marybelle, the rating caught me by surprise too!